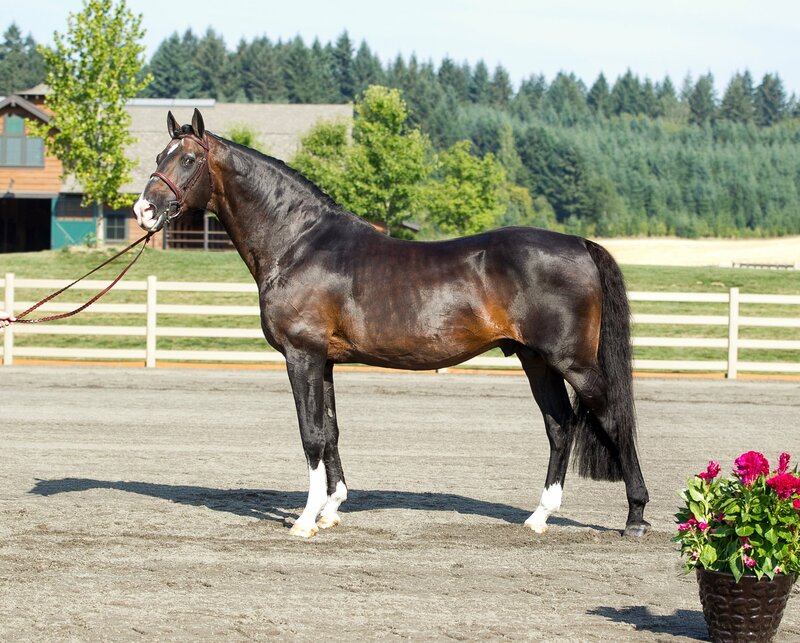 Sire & Damsire of Internationally Recognized Dressage horses; stamping rideability & elegance. 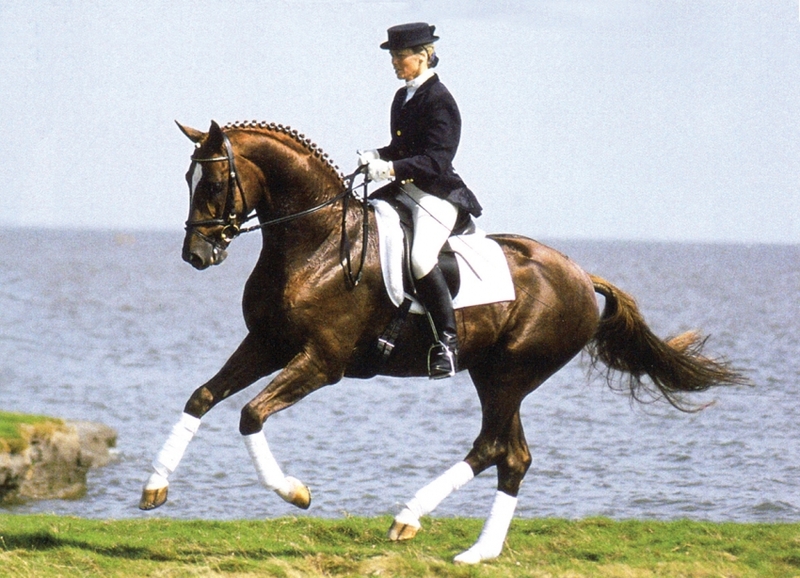 Dacaprio - Produces sport horses who exceed expectations in dressage and jumping talent. 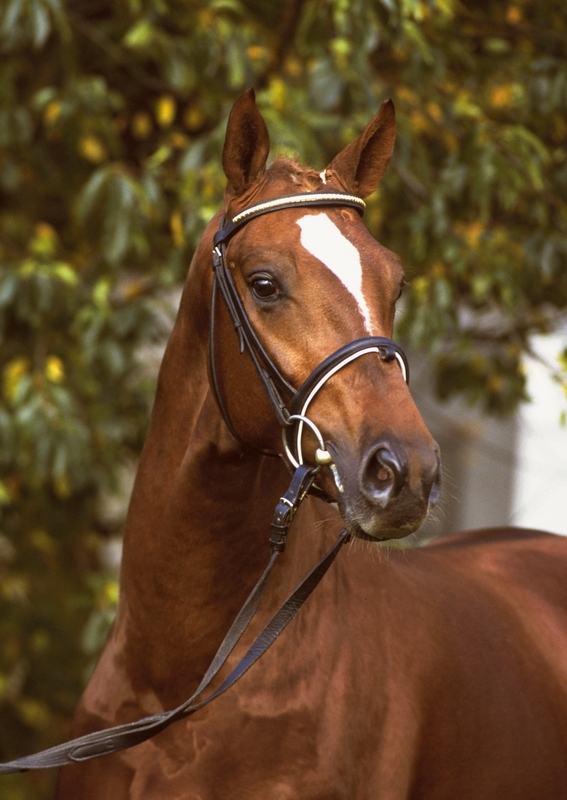 Dacaprio - Internationally recognized as a sire of the highest quality sport horses. Dacaprio - consistently produces refinement, elegance, ride ability and extravagant movement in his offspring. 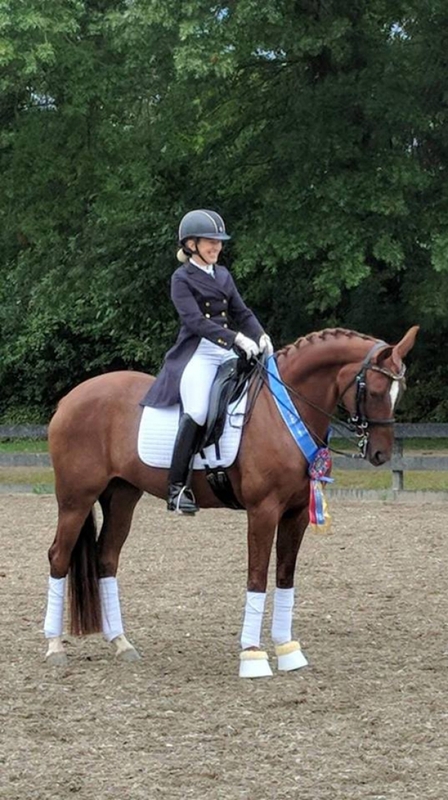 Licensed in Verden, and 100-Day Tested in Adelheidsdorf (Class I Dressage Index), Dacaprio won the Hanoverian Riding Horse Championships as a 3-year-old with the exceptional score of 8.9, (8.5 canter, 9s in walk, trot, rideability, conformation). 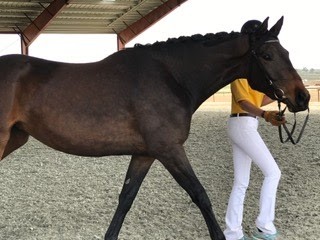 He was shown in dressage through Intermediate Level. 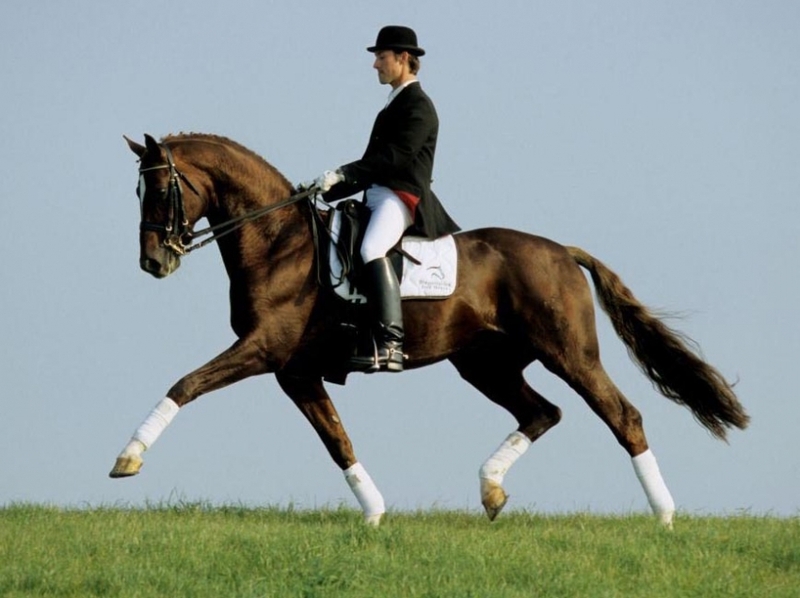 Dacaprio’s noted sire Davignon I is a son of Dressage Horse of the Century, Donnerhall. 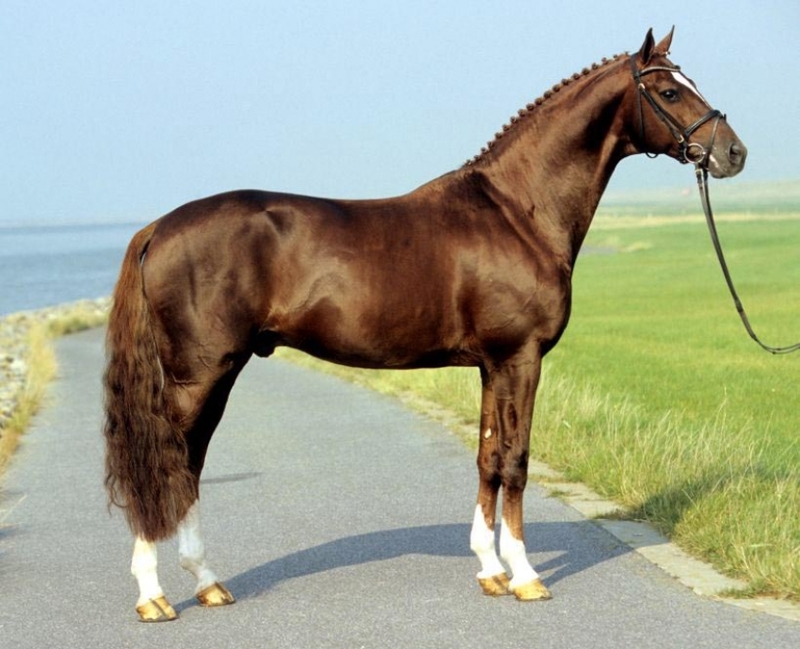 Damsire, Grand Prix competitor Caprimond, was 100-Day Test Champion and Trakehner Stallion of the Year. The Hannoveraner Jahbuch Hengst places Dacaprio in the top 20 for all sires, based on his daughters’ rankings and in the top 100 Dressage Sires of Germany (FN). Dacaprio produces exceptional impulsion, elasticity and modern type as well as rideability and trainability. 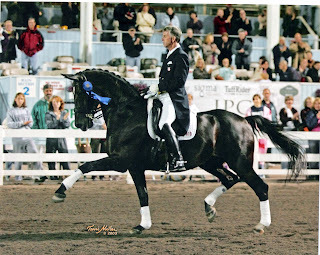 In Europe, he has sired stallion licensing Champions, States Premium mares, Elite Auction horses and Gold Medal foals. Grand Prix competitor Deja’Vu FBW won the Bundeschampionat as a 3-year-old, the bronze medal in the 5-year-old World Breeding Championships for Dressage horses and finished 4th as a 6-year-old in the World Breeding Championships. She is now a highly successful broodmare. Dacaprio is the damsire of Premium Stallion Blue Hors Farrell (Fürstenball-SPS Desert Rose/Dacaprio), the second highest selling stallion at the 2013 Verden Licensing ($480K euros) and top-scoring 4-year-old at the 2015 Danish Warmblood Stallion Performance Test. He is damsire of German dressage star Santiago (Stedinger-Danielle/Dacaprio) who was the Champion of the 2015 German Championships for Developing PSG Horses and is successfully competitng in Grand Prix. In the U.S., Dacaprio’s registered offspring include AHS Top Foals, GOV, ISR/Oldenburg N.A. Premium Foals, Elite Mares, AHS inspection site and MPT Champions. His offspring are USDF and Dressage at Devon Breed Show Champions, Get of Sire class winners and excel under saddle. 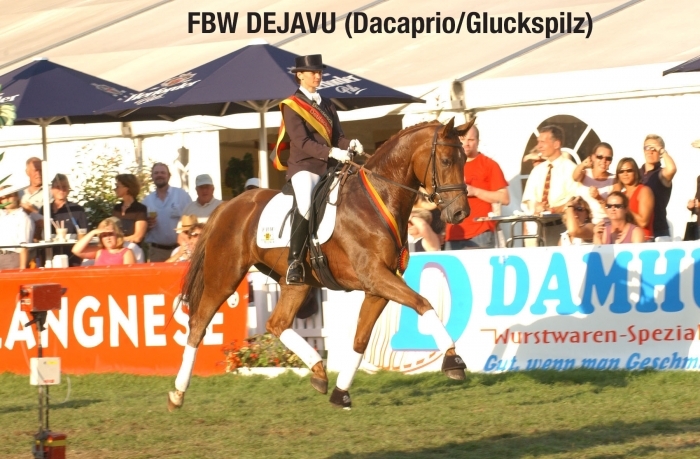 D’Espirit Joli (Dacaprio-Donna Schufro/Don Schufro) won numerous FEI 5-year-old tests. 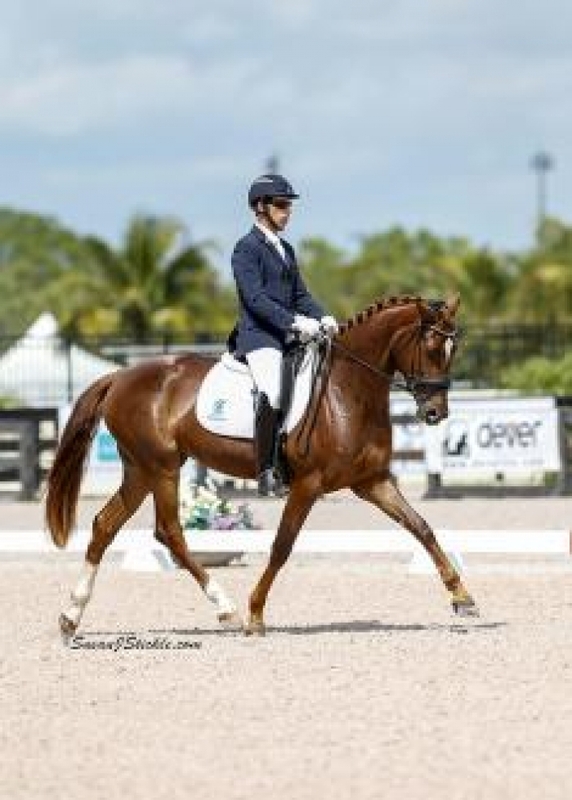 In 2018, Daquiri placed 4th in PSG USDF Region 8 and at the U.S. Dressage Finals placed 3rd in the Fourth Level A/A Division (66.630).Dacapriella was 2018 Region 5 Champion in First Level A/A & Freestyle, placing 3rd in A/A First Level Freestyle during the 2018 U.S. Dressage Finals and 4th in AHS USDF All-Breeds for First Level A/A. Dacaprio is approved AHS, HV, ARS, GOV, ISR/OLD N.A. (enrolled in Star Award Program), Westfalen Verband, and Danish Registry. D’Espirit Joli (Dacaprio-Donna Schufro/Don Schufro), Breeder Bridlewood Farm. Owner Lisa Grossi. 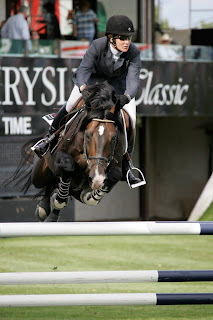 Winning at USEF Five-Year-Old FEI tests. Dual victories 2014 NEDA Fall Festival, Saugerties, NY, Highest Performing 4-year-old US-bred Hanoverian. 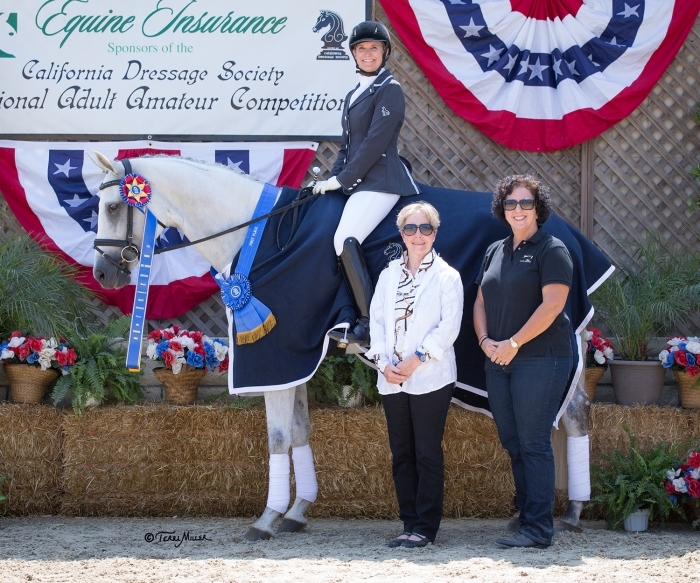 Dacapriella 2018 Region 5 Champion in First Level A/A & Freestyle, placing 3rd in A/A First Level Freestyle during the 2018 U.S. Dressage Finals and 4th in AHS USDF All-Breeds for First Level A/A. Special consideration given to performance mares, SPS, Elite, Premium, Multiple and return mares. I am interested in learning more about Dacaprio.